Brussels/Frankfurt, 2016-Dec-19 — /Travel PR News/ — After Lufthansa and the shareholders of SN Airholding had agreed on the terms of the complete takeover, Deutsche Lufthansa AG’s Executive Board yesterday decided to exercise the call option for the outstanding 55 percent of the shares. The call option comes into effect by 31 December 2016. The closing of the transaction will happen by the beginning of January 2017. 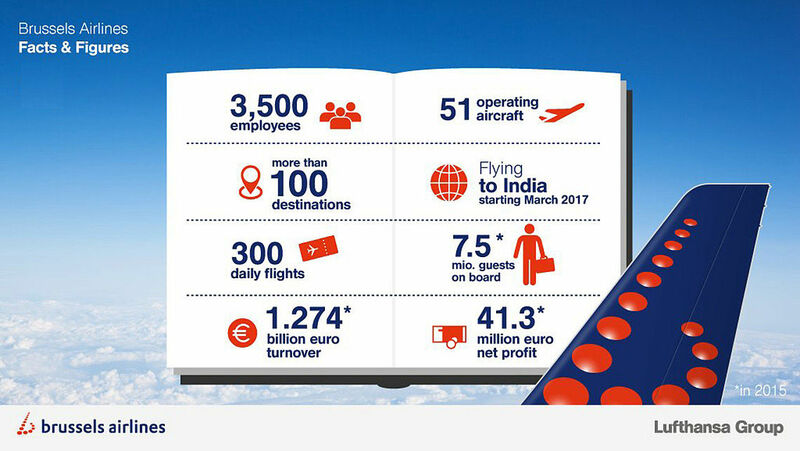 Carsten Spohr: “As the leading aviation group we have already demonstrated on several occasions that during the expansion process of our airline group we fully respect the interests of the respective domestic markets. We want to further sustainably strengthen the important aviation location of Brussels and continue to improve the connectivity of the European Capital. Based on its successful development, Brussels Airlines is able to play a leading role in bringing our pan-European point-to-point offer under the brand of the Eurowings Group to new successful heights. Together, we will be successful for our customers, shareholders and employees – now also in Belgium. This entry was posted in Airlines, Business, Travel, Travel Management, Travel Services, Travelers and tagged Brussels Airlines, Carsten Spohr, Deutsche Lufthansa AG, Eurowings Group, SN Airholding. Bookmark the permalink.